This property was originally part of Black Birch. Sandy and Hamish Bassett purchased the property from John and Juliet Cooper in November 1999. They then gave the property the name of Envydale Terraces. The Bassetts have built a new home, along with sheds on the property. They have established an extensive garden. An area of 12.12ha was planted in grapes. 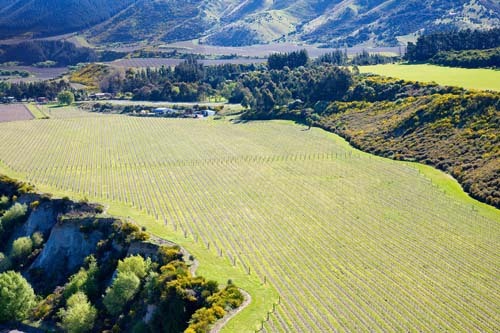 This vineyard is now well established and is consistently producing quality Sauvignon Blanc and Pinot Gris grapes.